Amazon has agreed a deal worth a reported US$250m to acquire global TV rights to The Lord of the Rings (LOTR) fantasy novels by JRR Tolkien and made a multi-season series commitment. The show will be produced by Amazon Studios in cooperation with the Tolkien Estate and Trust, HarperCollins and New Line Cinema, a division of Warner Bros Entertainment, which produced the LOTR movie franchise. 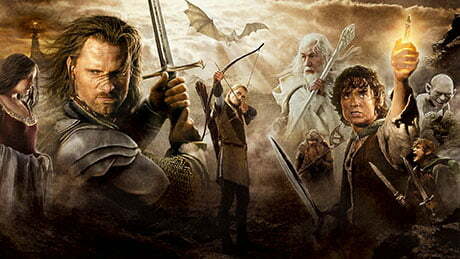 Set in Middle Earth, the adaptation will explore new storylines preceding Tolkien’s The Fellowship of the Ring. The deal includes a potential additional spin-off series. “The Lord of the Rings is a cultural phenomenon that has captured the imagination of generations of fans through literature and the big screen,” said Sharon Tal Yguado, head of scripted series at Amazon Studios. Matt Galsor, a representative for the Tolkien Estate and Trust and HarperCollins, added: “We are delighted that Amazon, with its longstanding commitment to literature, is the home of the first-ever multi-season television series for The Lord of the Rings. The LOTR trilogy was named Amazon customers’ favourite book of the millennium in 1999 and voted the UK’s best-loved novel of all time in the BBC’s The Big Read in 2003. Its theatrical adaptations, from New Line Cinema and director Peter Jackson, earned a combined gross of nearly US$6bn and garnered a combined 17 Academy Awards, including best picture. Securing the rights in what was reportedly a competitive situation marks a coup for Amazon Studios, whose boss, Roy Price, resigned last month over allegations of sexual misconduct. Head of international productions Morgan Wandell also left to join Apple as part of a wider exodus of executives that also saw Joe Lewis and Conrad Riggs depart.